3600’ in elevation change will have your quads burning by the time you cross the finish mat. Starting at just below 1000’, runners top out at just over 1700’ by the middle of the 3rd mile on Mill Mountain. It’s all downhill from there until the climbing begins again at mile 6. After reaching 1600’ at mile 9.5, a 12% decline carries runners back down the mountain. 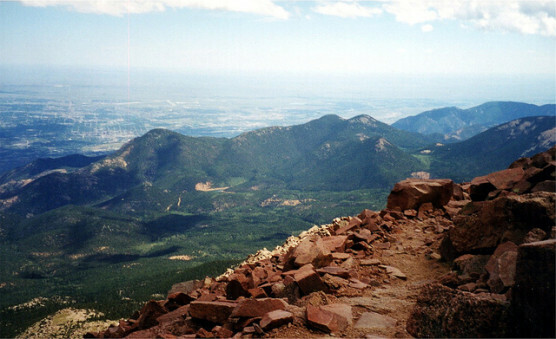 Pikes Peak is perhaps one of the most well-known “tough” half-marathon courses in the world. The course quite literally follows up a mountain with an elevation change of 7815’. 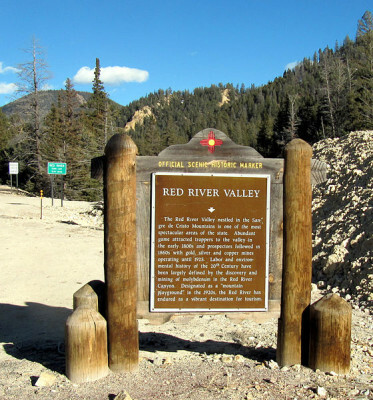 Runners start at a high altitude of 6300’ and climb, crawl, and hike their way to 14,115’. Weather variables add an extra layer of difficulty as temperatures can be extreme. Temperatures at the start can rise to the 90’s during the day while runners might face near-freezing weather at the summit. Current course records of 2:01:06 (M) and 2:24:58 (F) prove just how tough this course is even for professional athletes. Want to run a half-marathon with no flat parts? 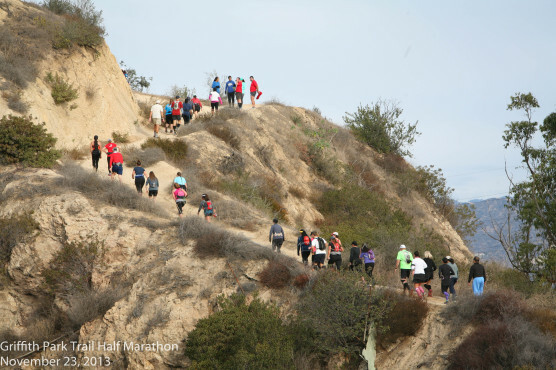 Griffith Park Trail Half is a series of constant rolling hills peppered with a few serious climbs. The race is run exclusively on dirt paths that snake through canyons and caves. Runners will gain 5096’ in elevation gain with a low of 638’ and a summit of 1549’. 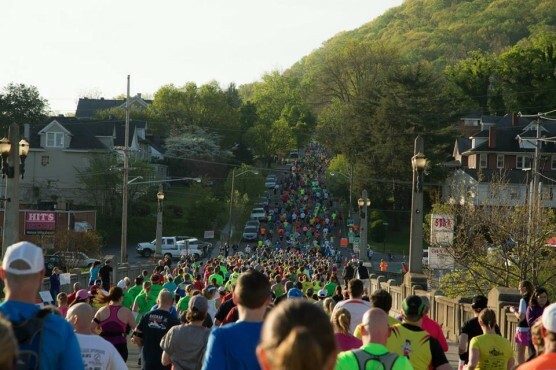 You’ll be wishing you’d brought a donkey as the average slope of the 13.1 miles is 10%.This gem of a course is easily accessible from Los Angeles making it a tough half, but very attainable. Ah, central Texas in the middle of summer. The perfect place to run a half-marathon! With an average low of 76 degrees, and an average high of 96 degrees, runners will have extra incentive to finish fast. The course is run mostly on bike paths with some asphalt and some concrete. It’s relatively flat, but trees are sparse and there is very little shady relief. Fortunately, the finish line is at Community Beer Company Brewery and the first beer is included with the race entry. 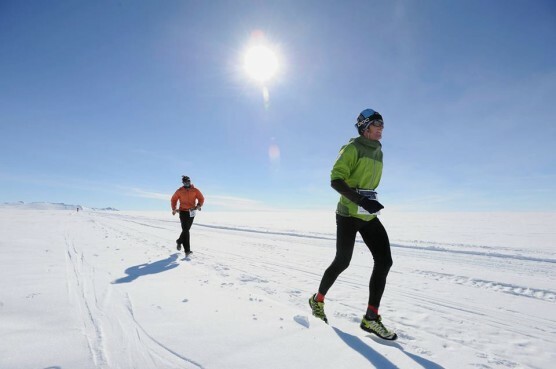 The Frozen Continent Half Marathon takes place in Antarctica. It’s pretty chilly. Temperatures average between -4 degrees to 14 degrees in November. And although trails are groomed before the race, runners are running on solid ice for the entire race. Running through those conditions might seem relatively easy after stomaching the time and cost it takes to travel to Union Glacier, Antarctica. A minimum of 1 week is needed from the time you arrive in Punta Arenas, Chile to travel and race on the coldest continent in the world. That’s assuming your flights are on time—race coordinators recommend not scheduling anything the week after due to travel delays. An entry fee of 10,800 EUR (about $15,000 US) is likely the toughest condition of all! Running on a lake is not an everyday experience for most. But it is possible to race on a point-to-point course on the largest (by volume), deepest, and oldest lake—Lake Baikal. Located in a southern part of Siberia, Russia, racers are shuttled from the city of Listvyanka to the starting line across the lake. 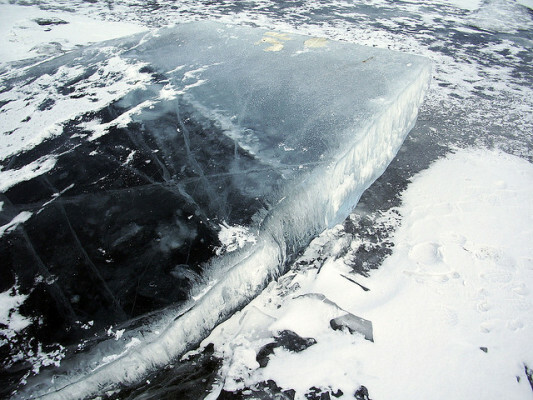 During the winter, ice on the lake builds up over a meter thick and is strong enough to with up to 10 tons of weight on the surface. What makes this race so tough? The barren landscape of endless frozen ice, tough footing conditions akin to an ice-skating rink, and unpredictable wind. Runners are encouraged to take part in the precautionary ritual of “vodka sprinkling” to calm the spirits of Lake Baikal. Any race starting with a shot of vodka is not one to be taken lightly. It’s only one hill, but it sure is a doozie. 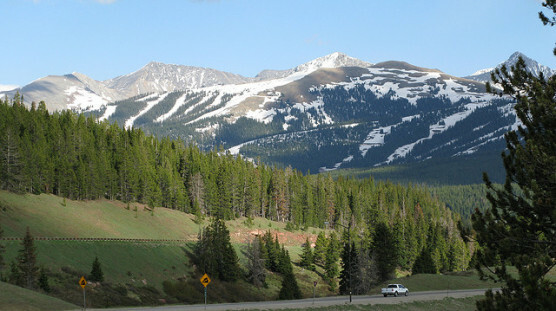 The Vail Pass Half Marathon begins at an elevation of 8211 feet and then climbs to 10499 feet. The average slope is a mere 4.1% with a maximum of 17.3%. 4 aid stations along the way can seem pretty spread out when you are climbing mountains. Runners will encounter all different types of terrain including bike paths and paved roads. Add the fact that the mountain might be covered in snow and you have yourself one tough half-marathon. A loose course map is provided by the race directors, but subject to change due to snow on the ground. The Everest Half Marathon is definitely for the bucket-listers. A half marathon on the tallest mountain in the world is sure to be a race to remember. Getting there is of course, a feat unto itself. 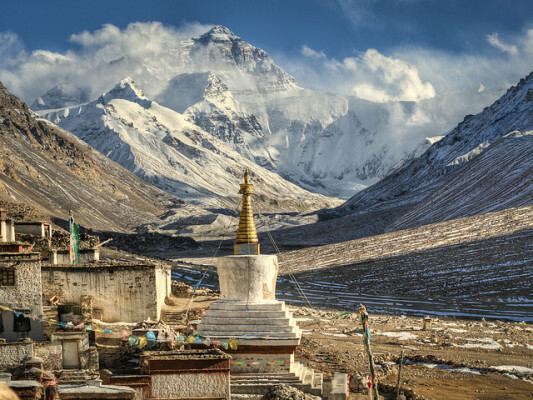 Participants are asked to spend 3 weeks in Nepal in order to acclimatize to the elevation. Then, it’s another 18 day commitment to trek the mountain, race, and return back to Katmandu. A minimum of $2500 is required for room, board, and guide assistance during the 18 day adventure. Half-marathoners will trek for 5 days to arrive to their start line in the village of Dingboche at an elevation of 14800 feet. Temperatures are often pleasantly in the 50’s during the day, but can be in the teens during the night. Runners will run down Mount Everest to Namche Bazaar, crossing the finish line at 11306 feet. Footing and terrain will be treacherous at times so don’t expect a PR on this net downhill course. But bragging rights are definitely in order no matter how fast you run down Mount Everest. A half-marathon through the Sahara Desert is not your average weekend marathon. Besides the fact that it takes place on a Tuesday, runners will be facing conditions that are unique to the desert. It is windy, sunny, and sandy. The terrain is a mixture of packed sand, loose sand, and rocks. Shade is non-existent throughout the course so pack plenty of sunblock. This course is also tough due to the difficulty of getting to the starting line. Runners must commit a week of time after arriving in Madrid to travel to a remote part of Algeria. Participants will stay with local families in tents where creature comforts of Western civilization are a world far, far away. The cost is approximately $1200 and that’s after you’ve made your way to Madrid. Staying indoors in January in Connecticut is usually preferred. But what about running 65 laps to complete a half-marathon? The good news is that it is climate-controlled, an aid station is always near, and spectators can be seen from every inch of the course. Plus, there are no hills and great entertainment! The tough part is the 65 laps — around and around and around. A digital counter keeps track of each racer’s laps and runners have a clear view the leaderboard. The race takes place in the XL Center in downtown Hartford, Connecticut. Normally filled with concert-goers and basketball fans, this spot also is the venue for arguably the most boring half marathon. The only thing easy about the Polar Circle Half Marathon is that it is a net downhill course. Located in Kangerlussuaq, Greenland, the race’s tagline is “the coolest marathon on earth!” Runners pay approximately $2700 that includes a roundtrip flight from Copenhagen and race fees, plus 4 days of lodging and meals. The race itself takes place in temperatures likely starting in the single digits and runners must be prepared for strong winds and/or snow. Course conditions are dependent upon the weather, but a portion of the course will take runners right over the polar ice cap. Pre-race instructions firmly urge runners to always stay on the course as falling through a crevasse is a dangerous consequence. Although much of the course is run on a soundless desert, the views of glacier tongues and moraines are spectacular. And if the half marathon isn’t tough enough, you can always sign up for the Polar Bear challenge by running the half marathon Saturday and the full marathon Sunday! The Red River Half Marathon touts “uphill…both ways” even though this is an out and back course. Runners start at 8750 feet in elevation and roll over 14661 feet of elevation change in 13.1 miles. There is a total of 7327 feet in climbing that racers must complete before reaching the finish line. The start/finish line is along Main Street in Red River, New Mexico, a ski resort town in the northwest portion of the state. Runners are treated to picturesque views along the course including the Red River, the Valley of the Pines, and Wheeler Peak—the highest point in New Mexico. Temperatures on race day can be quite extreme in this area with lows in the 20’s and highs in the 60’s so plan to pack layers. 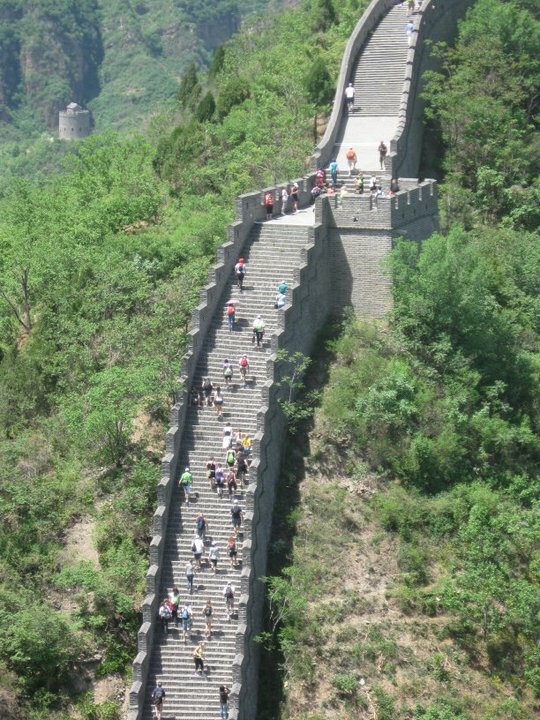 Better practice doing bleachers before registering for the Great Wall Half Marathon. Thousands of steps along the course along with steep ascents and descents are what makes this half marathon tough. Running a small section of the 13,171 mile wall is a unique way to experience this huge landmark. Runners begin at the fortress of the Huanyaguang section just outside of the Great Wall. They run just over 3 miles before reaching the entrance of the Great Wall and climb 5,164 steps before heading out onto the second section. Gravel roads and flat asphalt will be a welcome relief as runners cruise their way to the finish line. Keep in mind this race is not easy on your wallet either. After making your own arrangements to fly to Beijing, race tours including lodging and some meals begin at $1250.